It isn’t surprising that people prefer to have blog posts come to them, rather than to have to make the effort to visit every blog they want to read. This is especially true if you have low bandwidth or if internet access is expensive, as is often the case in developing countries. I guess that’s why some people like the email option. But most blogs do not offer email subscriptions; and if you follow several blogs you might find it a bit of a pain to have your email clogged up with this stuff. So you don’t to want to visit each blog individually, and you can’t or don’t want to get them all by email. Not everyone knows that there are some good solutions to this problem, especially if they are not all that interested in technology. So here’s a quick guide to how to read blogs and other websites easily. I read over 250 blogs regularly, because I find them informative, entertaining and interesting. I get more diversity of opinion and ideas from those 250 blogs than from reading one or two newspapers; and often you get the chance to learn from real experts in their fields, without the casual mistakes, prejudices and dumbing down that you get when those views are intermediated by lazy journalists. But I don’t want to visit 250 websites each morning. Nor do I want all that stuff arriving in my email each day. I don’t want to read everything that they all write: I want to skip through the headlines, or a brief summary of each article, so that I can see which ones I want to read properly. Fortunately there is a wonderful behind-the-scenes feature of almost every blog – and many other websites – called RSS. I’ll spare you the technical details, but this stands for “Real Simple Syndication” and it means that you can pull the contents of a blog or website to another place. And that in turn means you can get all the blogs you want to read in one place. The simplest and most widely-used solution is Google Reader. This is a website which lets you read blogs, rather like Hotmail or GMail lets you read your mail. You tell Google Reader the addresses of all the blogs you want to read, and it pulls all the posts to one place. It looks a bit like an email programme: you can easily see what’s new, and skip through the headings until you find something that looks interesting. When a blog post is new and unread it shows up in bold. As well as blogs, you can subscribe to the feeds of other websites, such as the BBC Africa News or DFID Press Releases. You can even set up a Google Alert for a specialist subject – such as your own name! – and have that appear among your feeds. You can have all your friends’ Facebook statuses in a feed. This means that you can decide what you are interested in, all over the net, and bring it all together in one place. You can put the blogs in folders – mine are grouped into “Africa”, “Development”, “Technology” and so on. Some people put their “must read” feeds into one folder, which they look at each day, and their occasional reading in another folder for when they want to do some browsing. However, Google Reader is an online website, and that may not be ideal for you if your internet connection is slow, or if you are on a plane. One solution to this is Google Gears, which is a way to access Google services like Google Mail and Google Reader if you are not online. I have found Gears a bit unreliable in the past, so it is not my preferred solution. There are many other ways to have your computer fetch the information from these feeds when you are online. (These programmes are technically called aggregators or feed readers.) Some of them can be set to download the content to your computer so that you can read it later offline, like you can with your email. If you have Outlook 2007, then you have a feed reader right in front of you. You can tell Outlook which RSS feeds you want to read and they will appear in a separate folder underneath your Inbox. To use this, you can go to the Tools menu, choose Account settings, then RSS feeds. Paste in the address from the blog or website you want to subscribe to. (Use Ctrl+V to paste into the box). Apparently you can also add feeds to Outlook automatically from Internet Explorer. I prefer not to use Outlook for reading blogs, however. I use FeedDemon instead, which is a free download. This is very easy to use, and it has the neat feature that it synchronises with Google Reader. So if I add a new subscription to Google Reader, it is automatically added to FeedDemon. If I have read something in FeedDemon, it is marked as read in Google Reader. If your office does not let you install new software, you may be stuck with Outlook (if you have Outlook 2007) or an online service like Google Reader. Which blogs should you be reading? If you are in to development you may be interested in my list of the best development blogs – look at the suggestions in the comments, which include some important omissions from my original post. There is a longer list of what I am reading down the right hand side of my blog page. The key point of all this is that there is a way to subscribe to blogs and websites, so that all the information you are interested in comes to you in one place, whether from blogs, newspapers, website, facebook or even search. This makes it really easy for you to see what is happening all over the world as you drink your morning coffee. And if all that sounds terribly complicated, don’t forget you can get this blog by email by putting your address into the box on the top right of the page – or, if you must, send me an email and I’ll add you manually. 1.On the File menu, click Import and Export. 2.Select Import RSS Feeds from an OPML file. 4.Click Browse to specify where the file to be imported is located, and then click Open. 6.Select the Feed name check box for each subscription that you want to import. The .opml file is imported to Office Outlook 2007. 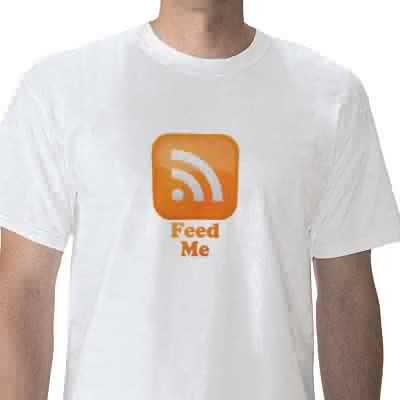 Another way to exchange RSS feeds (at least, if both sender and receiver use Google Reader) is by using “bundles”. They have a couple of advantages over .opml files, which you can read about on the Google Reader Blog. Thank you very much for this very helpful post. But how do you as a blog author get information on who, or at least how many people, are subscribed to your blog? @Chris: which citation system do you use? Many (e.g. Harvard, APA and many others) already have standards for blog citations. @D. Watson: I use Feedburner to monitor subscriptions. It doesn’t seem to be totally accurate, but its margin of error is so small that it hardly makes a difference. Next Next post: How can the aid system be overhauled?